Devil May Cry 5 came out about a week and a half ago. You can check out our review here. 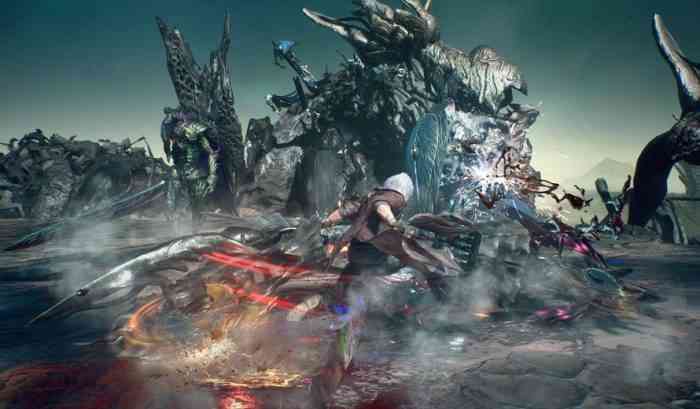 DMC5 is widely praised for its recognizable, yet above and beyond style in both combat and aesthetic. In this day and age of gaming, fans expect more than just a game. With DLC and updates so heavily relied upon, and frankly essential, for a game to stay relevant, we can always expect more post-launch. DMC is no different. On April 1st, we will be getting the survival mode for Devil May Cry 5 Bloody Palace. If for some reason you have never heard of it, Bloody Palace is a recurring bonus mode in the DMC series since Devil May Cry 2. In it, players face various numbers of stages of enemies, depending on which particular game you’re playing. DMC2 has 9999 stages, while DMC4 has just 101. In Bloody Palace, players can test their skills while earning red orbs used for upgrading and buying equipment. In DMC2 and 3’s Bloody Palace, players could periodically use portals to skip different amounts of stages. Water portals advance one level, lightning portals advance 10 levels, and fire portals advance 100 levels. Starting in DMC4, Bloody Palace did away with the portal skipping, and added a timer. Extra time could be added by defeating enemies and clearing stages. Devil May Cry 5’s Bloody Palace appears to follow the same format as DMC4 and the reboot. Based on gameplay videos, the timer is returning. Fans can play as Dante, Nero, or V in this mode. Don’t let the release date fool you, Bloody Palace will be available for free on April 1st. Will you be playing Bloody Palace? Let us know in the comments below.